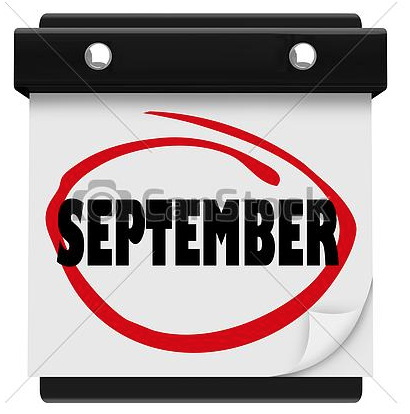 New month, new “Cold Caller list” for the month of September 2015. This month of September 2015 we counted 95 active companies in total of which there are 18 new company names on the list. As you can see, the activity each month of all these dubious companies is certainly not decreasing. There can be a change in pitch over the phone, there are certainly less resale companies asking for a deposit on a guaranteed sale, but now we have the so called “lawyers” and Claims companies. Do let us know who is contacting you and what their offer is, and we can give you advise if they are to be trusted or not. Always do your research and make sure you are not providing any personal information to a cold caller without even knowing who they are and where the information will end up. This entry was posted in Bogus Holiday Clubs, Bogus resale companies, Canary Islands, Costa del Sol, Flybuy Operator, Legal Services, Mediation services, Tenerife, Warnings and tagged Bogus claims companies, Bogus legal company, Bogus resale companies, Cold Caller List, Cold Callers Mindtimeshare, Cold Calls, dubious companies, fake liquidations, Fake Notaries, holiday ownership, September, timeshare, Upfront Fees. Bookmark the permalink. I have just had a telephone conversation with someone from Sim Administration offering disposal of my Tenerife timeshare week. They say the law changed about 2 1/2years ago and I can now relinquish my timeshare week. They have asked that I attend a meeting in York for further information & as I have some distance to travel, they are offering ‘complimentary’ overnight accommodation in an Ibis Hotel. An up-front fee of £99 has been requested to “get the ball rolling” and they guarantee relinquishment within 6-18 weeks with no further payment required. Having been scammed trying to get rid of my timeshare in the past, I am very reluctant to throw more money into this black-hole. Has anyone any experience of Sim Administration or advice please? Hi i recently had a call from orange sun in tenerife.saying i would have free accomendation &that they would get my money back for me.All i had to do was to pay for a flight.They also said the money would be in my bank with in 60days.Looking at this page it is a con yet again .any advise for me is welcome. I have just had a very pushy lady called Kate Hughes on from ITRA. Wanting to encourage me to take part in a class action. She said that ITRA had been commissioned to contact Timeshare owners by the Timeshare Consumers Association to get money back from miss selling about properties with perpetuity clauses.. I told her I was suspicious of cold calling – particularly at 7.45 on a Friday night and would not agree to anything over the phone. She knew who we had bought off but not where and did not know which part of the UK I lived in. She suggested that timeshares could never be sold and would not believe that I had seen them being resold by the company and by local conveyancing lawyers in the in the past. I demanded a phone number (0800950 6235) and said I would investigate but I was not interested at all. Needless to say I will report to Trading standards and the local media and of course to Mindtimeshare.